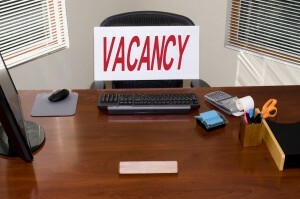 Is Your Firm Creating its own Personal Talent Shortage? Not a month passes by without another report illustrating the full extent of the global talent war. Employers are struggling to find talent in good time, and according to the Manpower Talent Shortage Survey 2014, 50 percent of employers say that talent shortages reduce their competitiveness and productivity and impact their ability to meet client needs. But, the most telling finding from the Manpower report was that talent shortages have hit a seven-year high, which shows that the problem is not going away, (it’s getting worse), and that employers need to start taking more concerted action. However, I think that at least some of the talent shortages can be addressed by a change in mindset. Let us be clear, talent shortages are not just about mathematics, they are also about perception. That is, do individual employers perceive that there is a talent shortage? To what extent are employers creating talent shortages by underutilizing the talent that is available to them in the job market or even within their own company, due to unrealistically high job description requirements, which reject talent that could actually do the job immediately or with a little training? We just don’t know the answer to this. For example, does your firm routinely call for degrees and qualifications for jobs that don’t actually need them to do the job itself? Sure, degrees indicate a certain level of academic ability in a chosen field, but they don’t guarantee performance in the job. In fact, the most reliable indicators of performance are past examples of similar performance as obtained through structured behavioral interviewing along with real world samples, (and not degrees). Much of this experience can normally be obtained outside of university. So, think carefully before introducing stringent educational or skill requirements for jobs. You may be unnecessarily excluding talented applicants from contention who could do the job, which narrows your candidate pool and helps generate your own, personal talent shortage. Again, do you expect to find perfect applicants who perfectly match your applicant requirements? If so, you may once again be creating problems for yourself. In high-demand areas, the chances of you finding talent that perfectly matches your requirements on paper and who don’t have other offers on the table is slim. The overwhelming likelihood is that you will rarely be in the position to find, let alone ‘bag’ perfect talent, and you will need to compromise. This means you should not be targeting perfect fits, but reasonable fits with learning agility and the enthusiasm to grow into the role. Being inflexible in the area of candidate fit will narrow your candidate pool significantly, once again creating your own personal talent shortage. Don’t get too hung up on hiring procedures. Of course, they are much more reliable than not having hiring processes, but they are still only 50-60 percent reliable in predicting the performance level of a candidate. Many of the applicants that your hiring process turns away will be capable of doing the job, once again helping your business to create its own, personal talent shortage. Consider making much more use of trial days/weeks as part of the hiring process to perhaps identify capable talent that would have been turned away during your more formal, but inherently flawed hiring process. What about flexible working? Inflexible working arrangements are thought to disadvantage women, making it harder for them to return to work and balance childcare commitments. If your business doesn’t offer some kind of flexible/agile working option you may be deterring female workers and reducing your candidate pool. Of course, while there is no doubt there is a perceived talent shortage, for me the clear question which also needs to be asked is how much of this talent shortage is self generated and created by employers adopting overzealous, overly rigid and even discriminatory hiring practices? I would love to hear your thoughts on this.